This Safety Passport ID card is linked to your Risknowlogy Safety Passport. 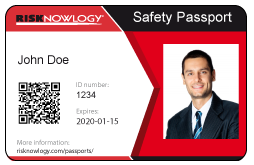 The Risknowlogy Safety Passport records all your training and competence in the field of risk, reliability and/or safety. Your personal QR code on the card, provides an easy method of accessing your Safety Passport. Simply scan the QR code on your ID Card (QR code scanner app available to download for free on any smartphone) and get directed to all the necessary information/certificates, publicly available in your Safety Passport. Your Safety Passport ID Card holds a QR code. 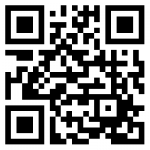 The QR code can be scanned by anybody with a QR scanner (which is available for free on smart phones). When the QR code is scanned it will link to your online Safety Passport. Your online Safety Passport shows your training courses and/or competencies. So anybody can verify your credentials. How to get your Risknowlogy Safety Passport ID Card? You qualify for this ID card if you have a Risknowlogy Safety Passport. Don’t have one? Click HERE. Would you like to know more about the ID Card? Don’t be shy. We are looking forward to your questions. Contact us. Do you already have a Risknowlogy Safety Passport? You can proceed to purchasing the Risknowlogy Safety Passport ID Card. Click here. Why a Risknowlogy Safety Passport ID Card? Imagine you are sitting down to start an important functional safety meeting and the Chairperson asks you for a record of your competence. All you need to do is pass them your ID card, they scan the QR code and all the necessary information is shown in one place. Simple and effective!